Regulatory Turn Signs by Street Sign USA! 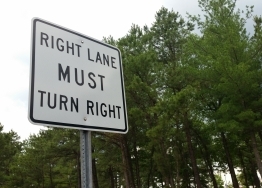 Regulatory turn signs (R3 Series) are used to indicate locations where it is necessary to allow or prohibit drivers from turning in a specific direction. Part of the regulatory sign family, symbol signs aide in directing and controlling vehicular traffic.